Bet one of you can win this! There are only two days left to enter, but this contest is definitely worth going for. It’s all about books, after all. And it’s about writing, after all. Loving to Learn Day is an annual event that encourages everyone to celebrate their love of learning. First established at the University of Waterloo in 2006, Loving to Learn Day has subsequently spread to the University of Manitoba, the University of Windsor, the University of Saskatchewan, and several Canadian colleges. This year Loving to Learn Day falls on Tuesday, February 14, 2012 (but the contest deadline is Sunday, February 12 at noon). Which book would you choose? And why? 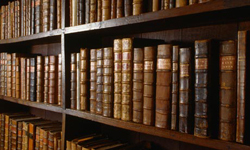 Remember, there are books in the library about every subject you can imagine. But you can only choose one. To participate in the contest, you need to write a paragraph explaining your choice. University students, staff, and faculty. Students in grades 9 to 12. Students in grades 1 to 8. Anyone, anywhere can participate. Submissions should be between 50 and 500 words in length, and will be judged according to how vivid, thoughtful, and expressive they are. Submissions can also take the form of an original YouTube video, up to two minutes in length. 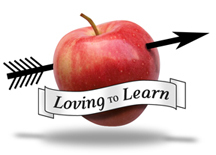 After you finish it, email your submission with “Loving to Learn” in the subject line to mark.morton@uwaterloo.ca. Include your name and your category, and make sure it arrives before noon on Sunday, February 12, 2012. Winning submissions will be published on Tuesday, February 14, 2012 on this website, and winners will also receive a book prize. In past years, Kitchener-Waterloo’s daily newspaper, The Record, has also published full-page articles about Loving to Learn Day contests. Incidentally, winning submissions from last year’s Loving to Learn Day Contest are available here. Feel free to spread the word about Loving to Learn Day, and about this year’s contest! If you have any questions, please contact Mark Morton.